Welcome to the Autumn 2017 Sofa Spotlight, my quarterly selection of titles which have really stood out amongst the many I read. In real life I’m always being asked about my latest discoveries and this slot is a kind of virtual version of that conversation*. This is a short but varied list, with a story collection, a memoir and five novels, of which two are debuts. Considering there are just 7 books here, they’re a window onto so many slices of life: geographically, culturally and in terms of the experiences portrayed, with a universal power to connect that comes from excellent writing and having something worth saying. I’m delighted that some of the authors will be joining me here in the coming weeks with guest posts as mentioned below – there may be more! If you like my selection, please share with your book-loving friends on social media – especially as the first title is something special in aid of a good cause. A home is something most of us have the luxury of taking for granted, but for many it is a grim struggle to obtain what should be a basic necessity. 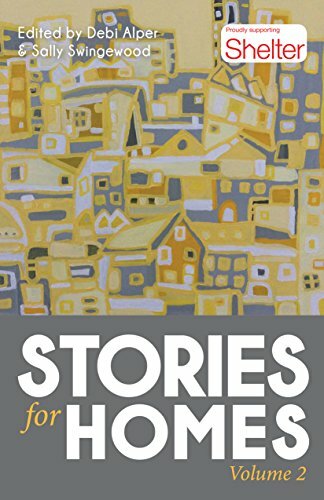 Stories for Homes is a collection of witty, poignant and heartbreaking short stories by 55 authors, both established and emerging, reflecting the connection between the immediacy of the housing crisis and the stories people tell about their lives around and within it. Volume Two of the anthology includes stories, poems and flash fiction and again all proceeds will be donated to Shelter, the UK charity for housing and homelessness. Why I chose it: I am one of the 55 contributors to this charity anthology and of course we are hoping to spread the word far and wide. But I can honestly say its inclusion here is down to literary quality, range of voices and the emotional power of these vastly differing interpretations of home. SOFA DATE: There will be a dedicated post on the anthology when the paperback edition is released in November. The story of two young women in modern-day Kosovo: one is married and follows a traditional path of motherhood and the other, after failing a ‘virginity test’, goes to the capital city, Pristina, to study at the University. The novel follows their choices, challenges and the conflicts they both face between societal expectations and the desire to shake off the shackles of conformity. Both women become writers, one re-writing a traditional Albanian folk tale for her children and the other writing the stories of ordinary people around her who were caught up in a war they didn’t want to be a part of. The stories the women write become part of the overall narrative. The novel explores the bleakness of war, but also the birth and development of one of the youngest countries in the world and the resilience of its people as new life emerges from the darkness. Why I chose it: I always find it exciting to read something as unusual in approach as this short, subtle and intense novel. It is both traumatic and uplifting and there is a hypnotic beauty to the writing. 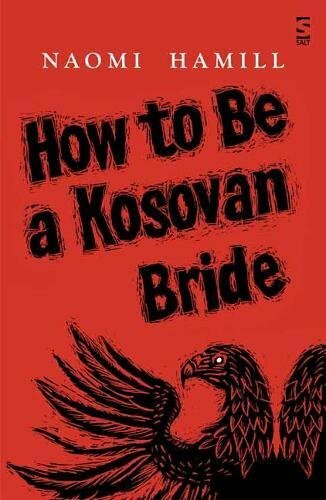 SOFA DATE: Naomi will be visiting the Literary Sofa on 5 October with a Writers on Location post on Kosovo. In the depths of the ill-reputed Green Dolphin bar in Toronto, Tancred Palmieri, a talented thief with extravagant tastes, encounters Willow Azarian, an aging heroin addict. She reveals to Tancred that her very wealthy father has recently passed away, leaving each of his five children a mysterious object that provides a clue to the whereabouts of a large inheritance. Willow enlists Tancred to steal these objects from her siblings and solve the puzzle. A Japanese screen, a painting that plays music, an aquavit bottle, a framed poem, and a model of Frank Lloyd Wright’s Fallingwater … Are these really clues, or has Tancred fallen victim to the delusions of a junkie? Inspired by a reading of Treasure Island, The Hidden Keys questions what it means to be honourable and faithful in the face of desire. 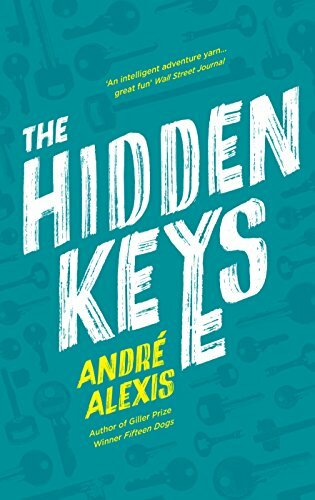 Why I chose it: Giller Prize winner (and past Sofa guest) André Alexis brings his trademark wit and insight to this sophisticated mystery full of memorable characters. Clever and fun! 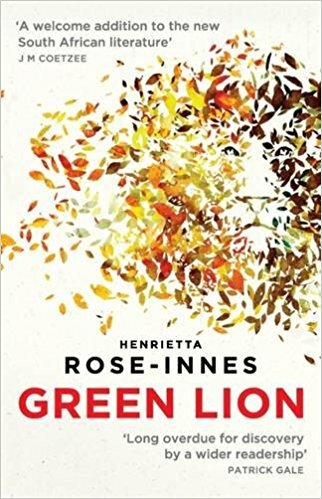 When a lion at a breeding park mauls an old school friend of his, Con must step in as the keeper of Sekhmet, the last remaining black-maned lioness in the world. In a near-future Cape Town where fences keep people and wildlife apart, park officials and investors fret about their flagship big-cat project whilst a cult of animal lovers seek to claim her as their own. Con grows distant from his girlfriend whilst forming an intense bond with his enigmatic charge, but does Sekhmet offer him a chance of redemption, or will the tragedy which haunts Con’s past finally catch up with him? Why I chose it: Although it raises vital issues about our relationship with the natural world, this is above all an immersive and compelling story. Great characters, superb lyrical writing and a particular treat for anyone who knows Cape Town, one of my favourite cities. SOFA DATE: Henrietta will be visiting the Literary Sofa on 18 October with a Writers on Location post on Cape Town. Sarah Cook, a beautiful blonde teenager, disappeared fifteen years ago, the same night her parents were brutally murdered in their suburban Ohio home. Her boyfriend Brad Stockton – black and from the wrong side of the tracks – was convicted of the murders and sits on death row, though he always maintained his innocence. With his execution only weeks away, his devoted sister, insisting she has spotted Sarah at a local gas station, hires PI Roxane Weary to look again at the case. 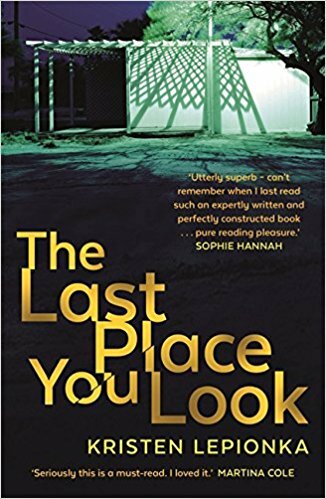 Reeling from the recent death of her cop father, Roxane finds herself drawn to the story of Sarah’s vanishing act, especially when she thinks she’s linked Sarah’s disappearance to one of her father’s unsolved murder cases involving another teen girl. Despite her self-destructive tendencies, Roxane starts to hope that maybe she can save Brad’s life and her own. Why I chose it: I loved the vivid small-town setting and the author’s smart and punchy way with words but it’s the tough yet vulnerable character of private detective Roxane which really makes this – she’s so engaging and relatable. Elena Lappin’s life could be described as ‘five languages in search of an author’. She now lives in London, but she was born in Russia and has lived in Czechoslovakia, Germany, Israel, Canada, and the United States. As a multiple émigré, her decision to write in English was the unexpected result of many wanderings, and this memoir tells the story of finding a voice in a language that is not one’s own. Russian, Czech, German, Hebrew, and finally English: how do they, and the family roots and cultures they represent define who she is, and how has adopting English allowed her to be a writer? The story of Lappin’s identity is unexpectedly complicated by the discovery, in middle age, that her biological father was an American living in Russia. Their encounter introduces an element of mystery to the search for her roots, and a surprise: suddenly, English is more than the accidental ‘home in exile’ – it is the language she may have been close to from the very beginning. 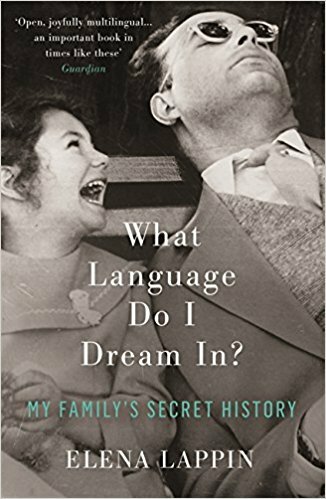 Why I chose it: I was drawn to this memoir by my own love of languages but it is just as fascinating in its depiction of the historical and political factors which influence emigration. The author’s personal story has a novelistic depth and complexity and the way she tells it is hugely enjoyable, moving and enlightening. On a gloomy February afternoon, Jim sends his wife Annie out to do the shopping before dark falls. He seals their meagre apartment, unhooks the gas tube inside the oven, and inhales. Sister St. Saviour, a Little Nursing Sister of the Sick Poor, catches the scent of fire doused with water and hurries to the scene: a gathered crowd, firemen, and the distraught young widow. Moved by the girl’s plight, and her unborn child, the wise nun finds Annie work in the convent’s laundry – where, in turn, her daughter will grow up amidst the crank of the wringer and the hiss of the iron. In Catholic Brooklyn in the early part of the twentieth century, decorum, superstition and shame collude to erase Jim’s brief existence; and yet his suicide, although never mentioned, reverberates through many generations – testing the limits of love and sacrifice, of forgiveness and forgetfulness. Why I chose it: Firstly, I love Brooklyn and this drips with atmosphere. The effects of Catholicism on women’s lives and ‘choices’ were very recognisable to me, especially thinking of my older relatives. 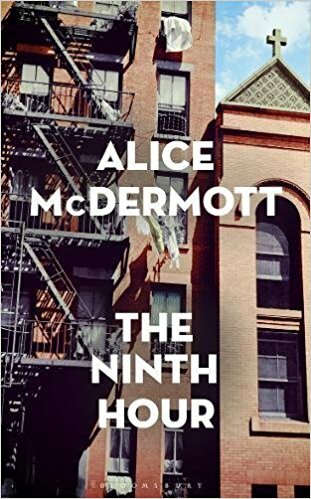 Alice McDermott writes unflinchingly but with compassion about poverty and suffering; her characters’ dilemmas are deeply involving, the writing quietly beautiful. *So talk to me! Have you read any of these yet? Which would you choose? I’d love to hear what you’re curling up with this autumn. For anyone interested, the ebook of my novel Paris Mon Amour is currently 99p for a limited period. Great selection! I’m most drawn to no 7, closely followed by no 2.